Santiam Towing and Recovery: From AAA battery replacement and flat tires to towing and off-road recovery in severe weather, we at Santiam have the experience, equipment and personnel to complete each job safely and efficiently. Sublimity Insurance Company: Our goal is to protect the financial stake you've made in your life with comprehensive insurance coverage, tailored to fit your specific needs. We take great pride in providing the very best service available, at a competitive price. If you thought Schmizza was only about pizza, you thought wrong. Schmizza Public House brings a full all-American menu with a huge taplist of beers and a sensational bar staff. Introduce yourself to a new kind of fun and casual dining. Anytime Fitness: Over 2 million members choose Anytime Fitness. Why? Because it’s convenient, affordable, and fun. McCoy Freightliner: For over 50 years, the JMR Group has offered new and used medium and heavy duty trucks, expert service, an extensive parts inventory, and helpful financing options. A&W All American Food. Bringing great things together. Clinton Cox Construction, Inc.: Providing complete professional installation services. From site preparation, clearing trees, adding roads, to installing foundations and erecting the tower. Let our qualified technicians work swiftly to ensure your project is completed correctly and on-time. 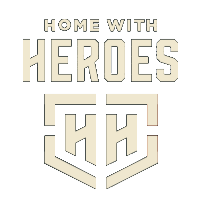 Home with Heroes was founded in 2011 with one goal: to say thank you. Inspired by a friend’s service to country, the organization has evolved into a 501 (c)(3) nonprofit. Each year, we provide over 150 veterans with unforgettable outdoor experiences in hunting, fisg and building community. The Laura Gillott Home Team will provide you with my 20 years experience of selling property in Linn Co. I have successfully closed over 1000 homes making me one of Linn County's Top Realtors. I have tried and true systems and team members in place to make your buying or selling transaction successful. Stayton Tire & Automotive: We Offer Complete Automotive Service & Repair, as well as tires, custom wheels, batteries, brakes, shocks… count on Stayton Tire & Automotive for quality repairs, maintenance, and accessories, always guaranteed. The Kyron Horman Foundation: Dedicated to assisting the families of missing children through advocacy campaigns. Together, we can help bring them home. Sublimity Eye Care: We strive to provide the latest innovations in modern eyecare, the highest quality frames and lenses, along with prompt and courteous service. Our goal is to give you a BBQ experience like never before. Owner Roger Schneider took his hobby and turned it into a passion for BBQ and traveled the country to hone his craft to make authentic, pit smoked meats prepared with the classic Southern technique of smoking and incorporating a variety of flavor profiles that represent our local communities. 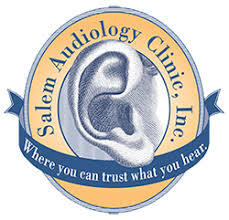 At Salem Audiology Clinic, we’ve been helping people overcome hearing loss in the Willamette Valley since 1982. While things have changed quite a bit since then—especially hearing aid technology—our approach has remained the same, which is that of a small, family-owned business that treats its patients like it would its own family members.